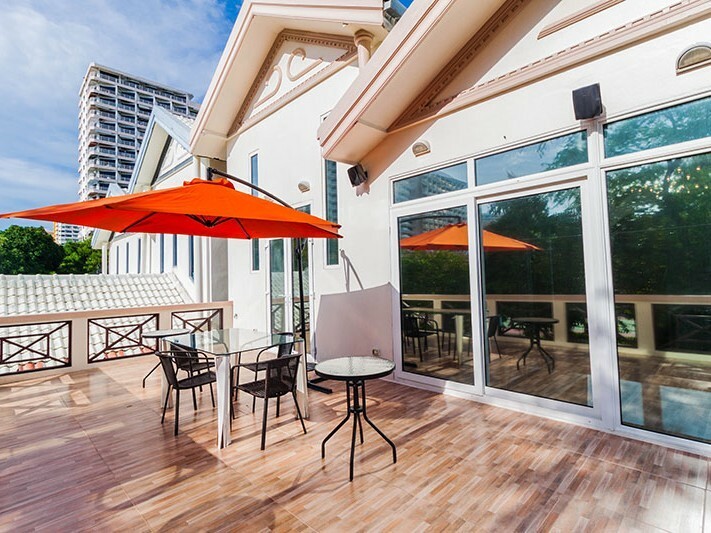 Jomtien Palace is a 4 bedroom villa in Jomtien only 500 meters away from the beach and plenty of other attractions. 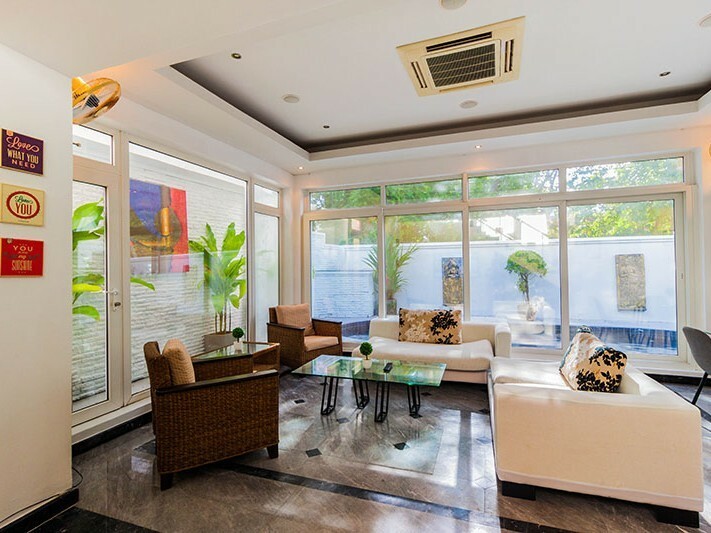 With a two-floor spread and a 360 sqm built-up area, its space is suitable for all the needs of a party of up to 8 people. 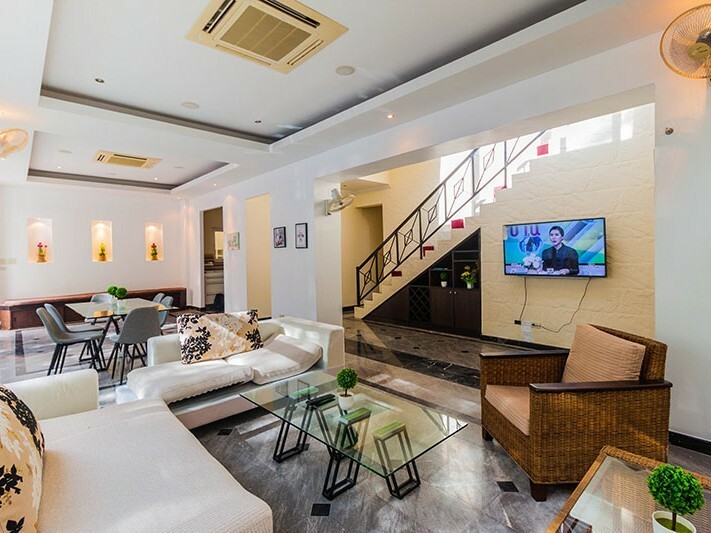 Whether you’re on a family vacation or traveling with friends, having the villa as your holiday base is a wonderful choice in terms of size and location. 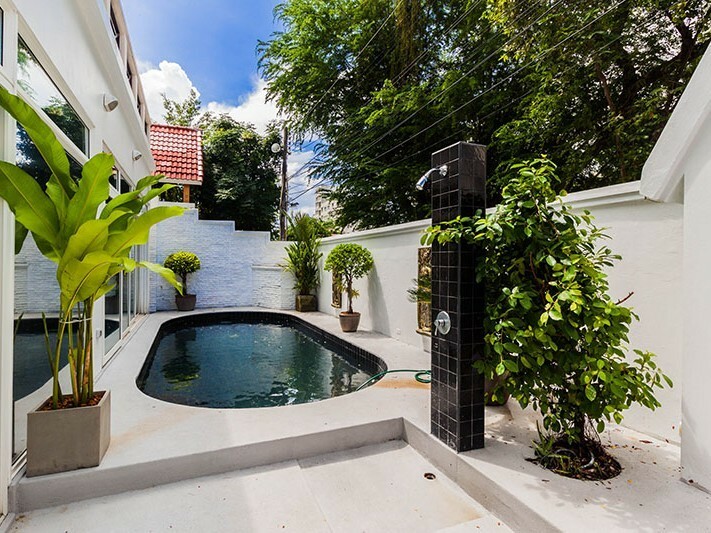 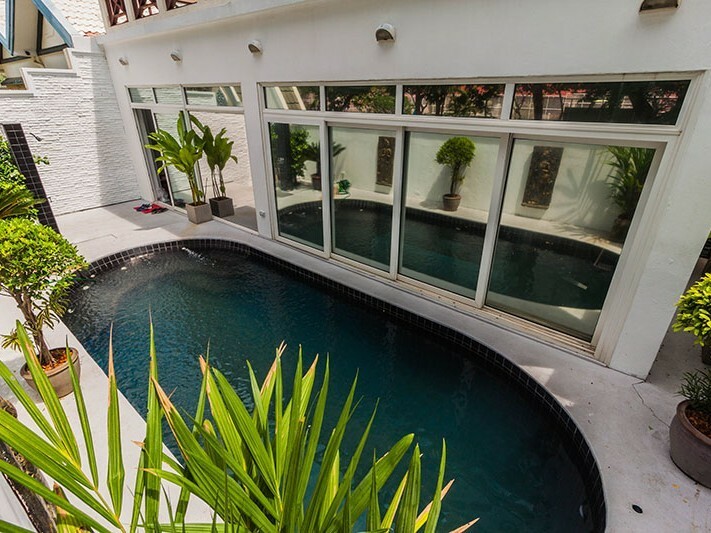 The villa features a peaceful courtyard that provides lots of shade, as well as a swimming pool and the roof terrace is perfect for sunbathing and entertaining. 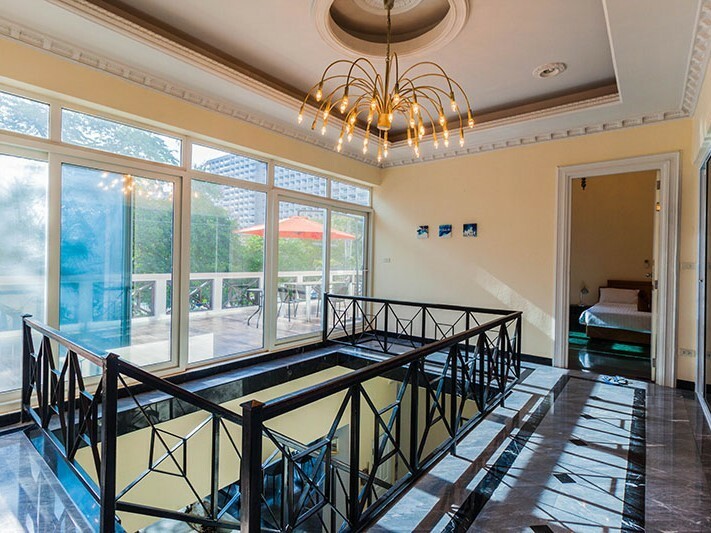 The house has been newly redecorated. 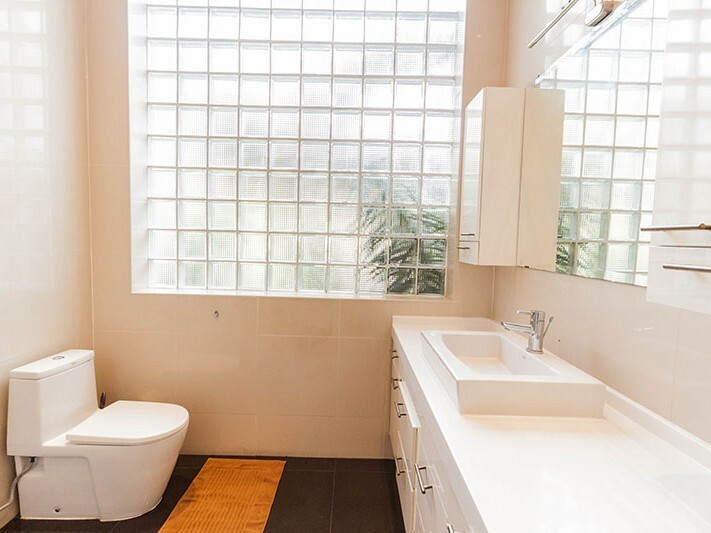 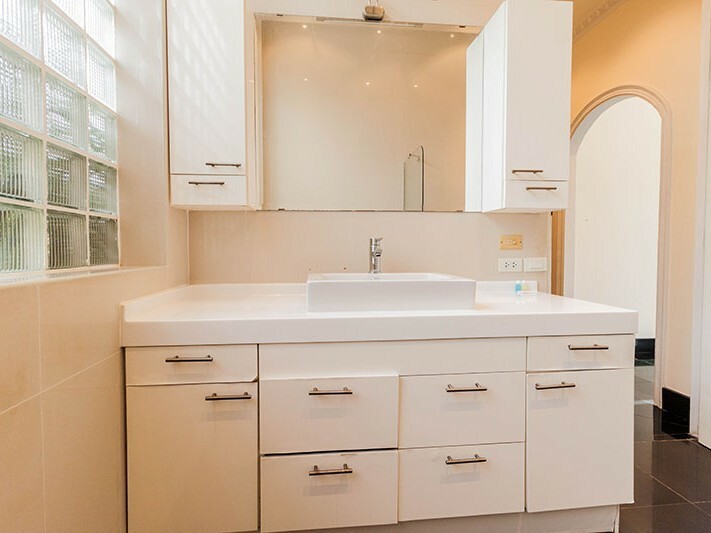 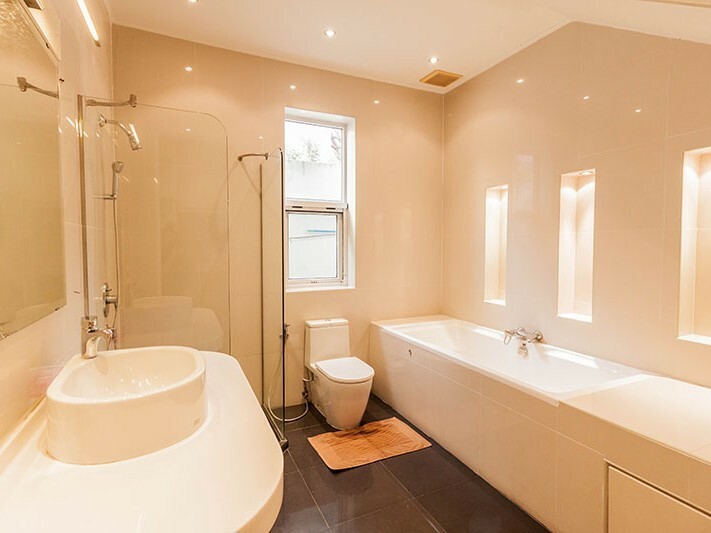 There are four bedrooms, 3 of them with en suite bathrooms, air-conditioning, and wardrobes. 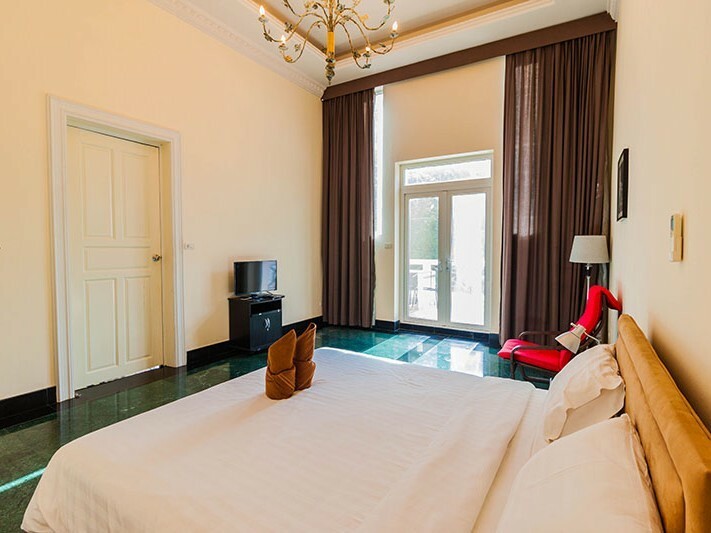 The Master Bedroom is upstairs and has access to the second floor terrace. 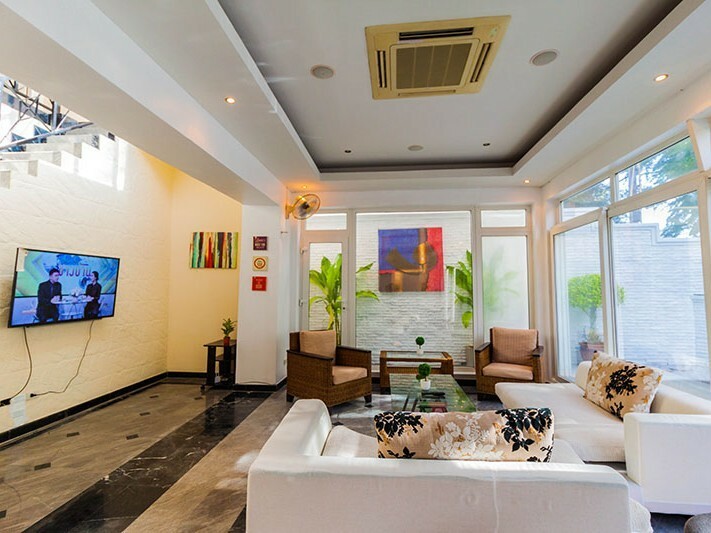 There is a L-shaped sofa, 2 beautiful rattan chairs and a sizable flat-screen TV with international channels plus a DVD player. 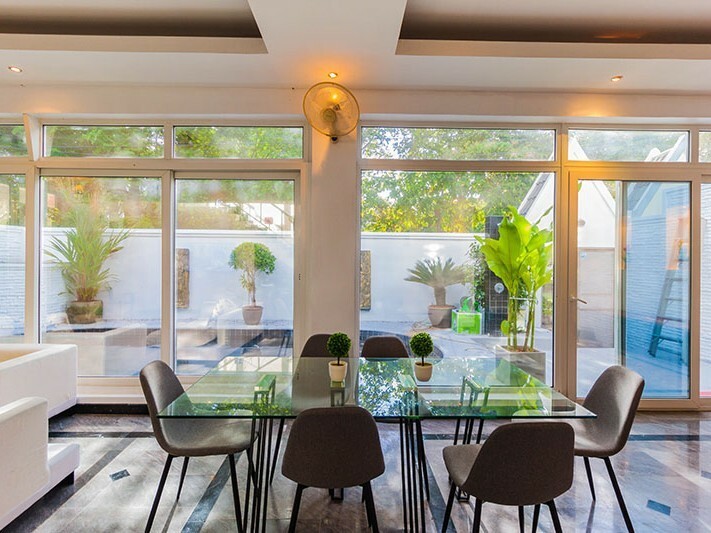 The dining room is a part of the living area and is conveniently close to the kitchen; there is a dining table that can seat up to 8 people. 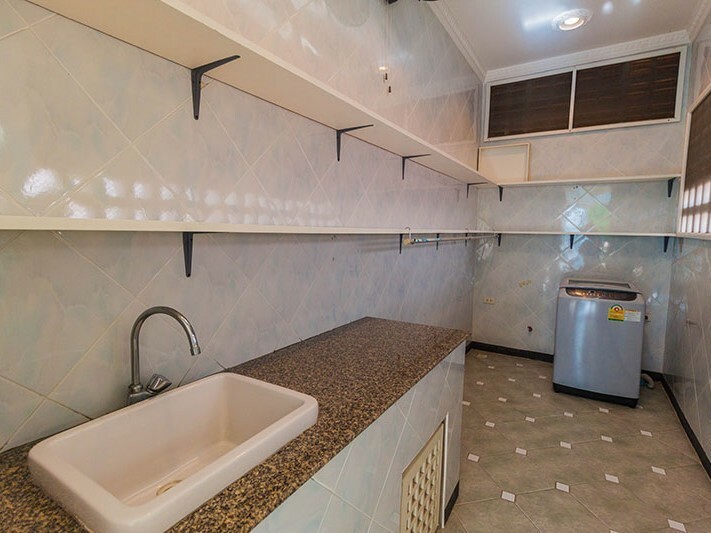 The kitchen is spacious and modern, with a really cosy feel, fully equipped for self-catering. 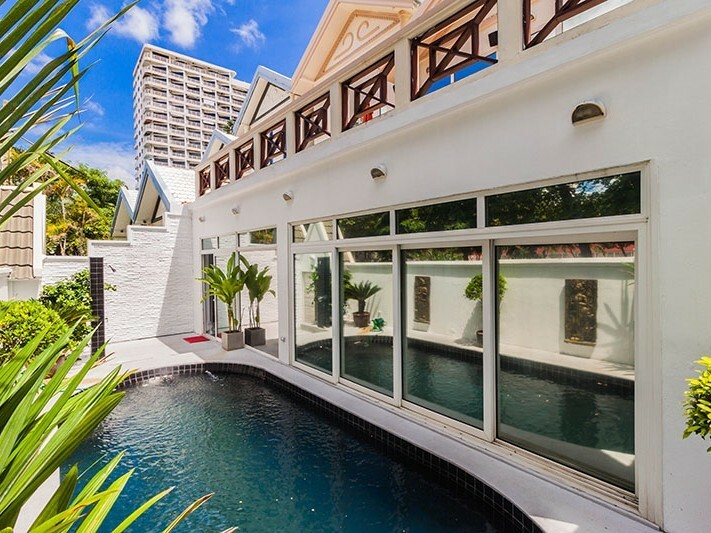 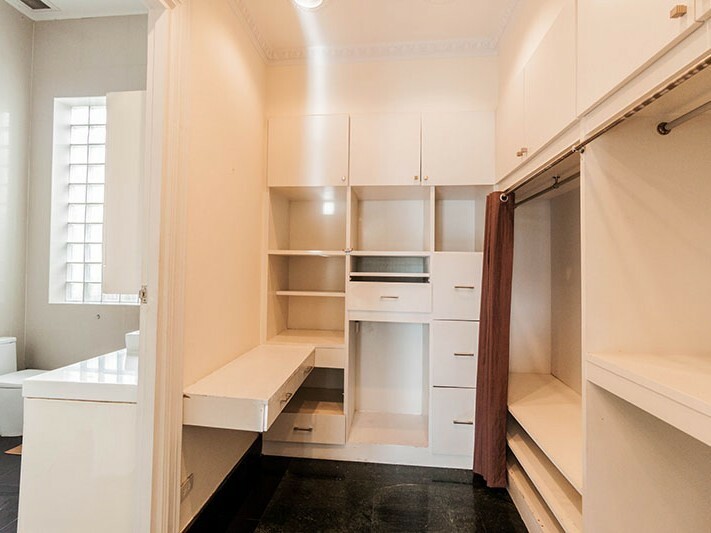 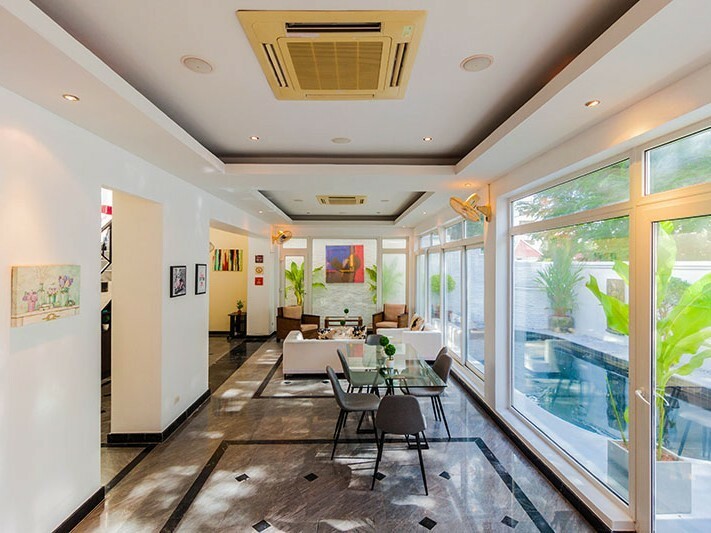 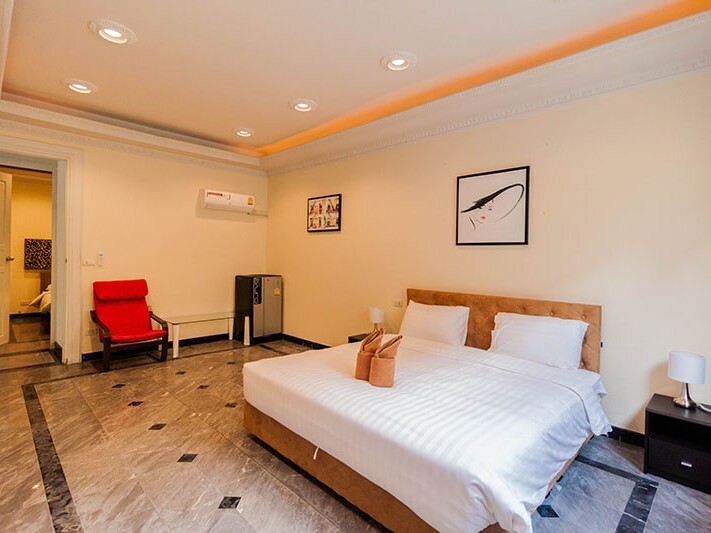 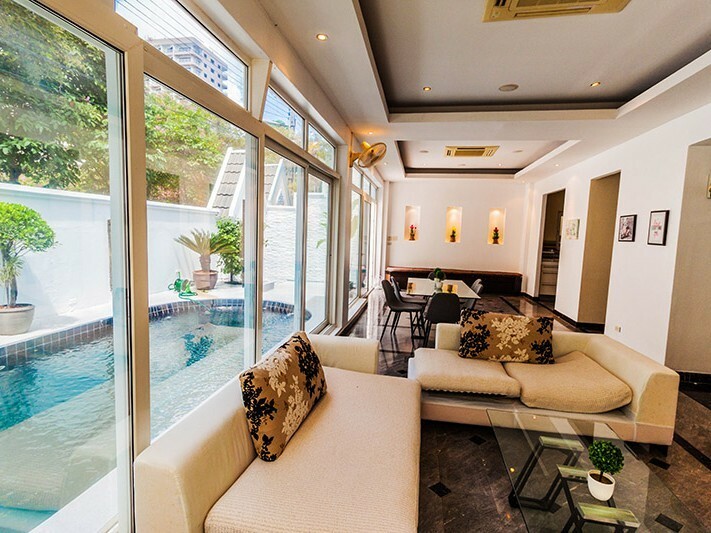 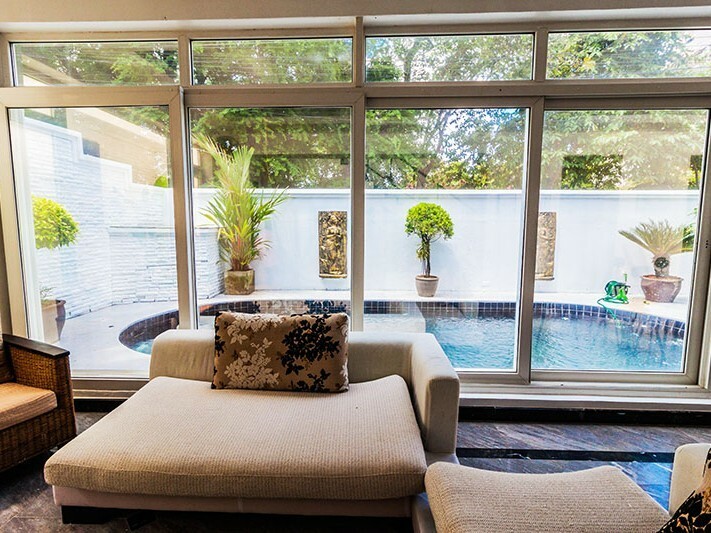 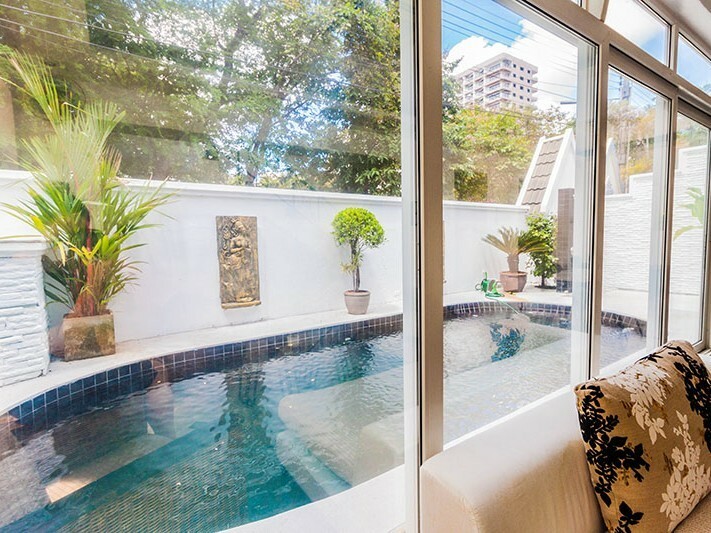 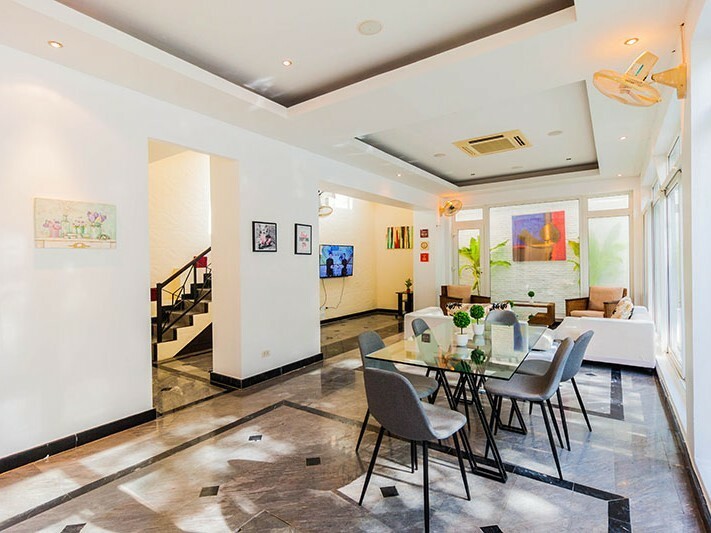 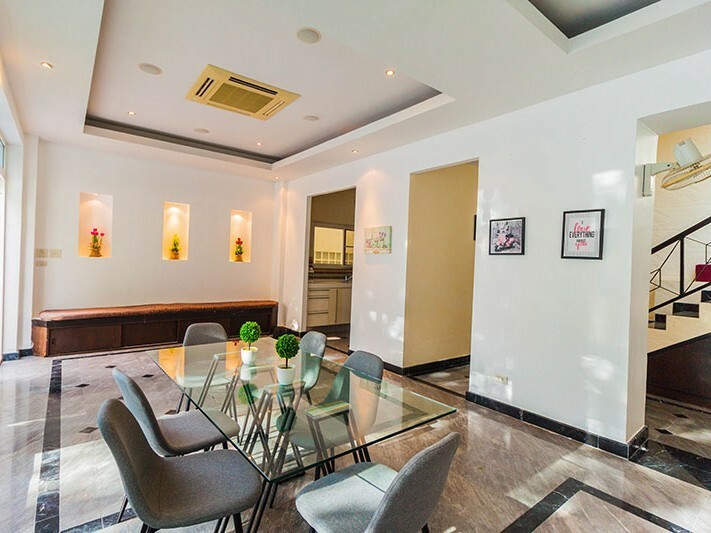 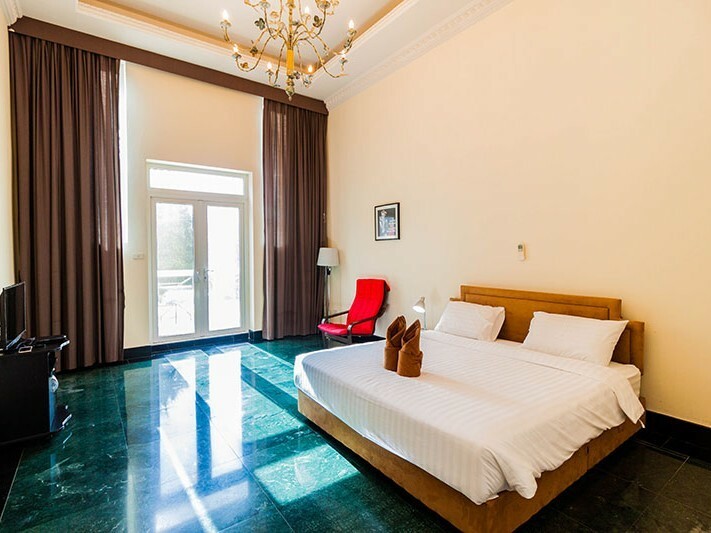 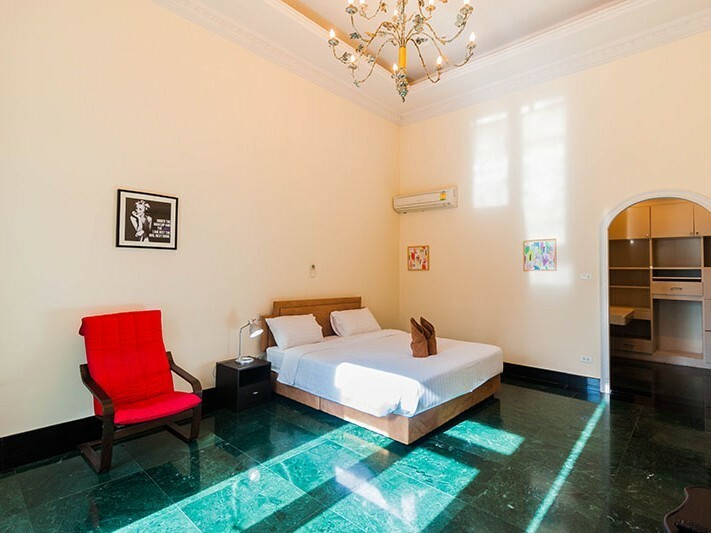 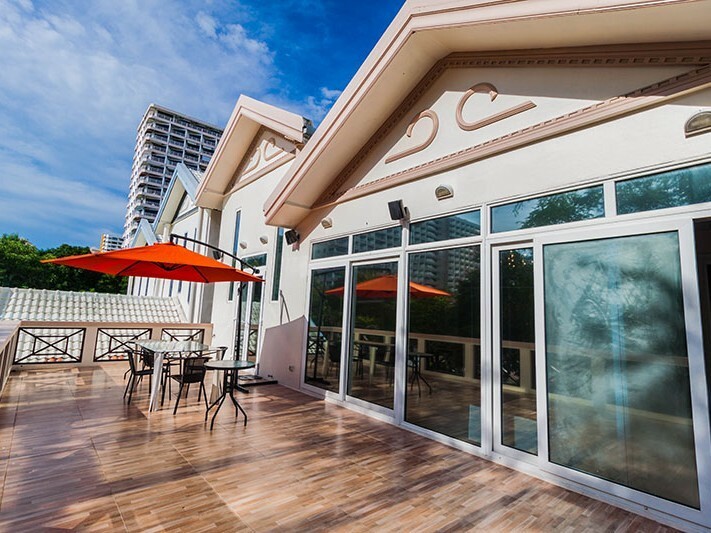 Set just 500 meters from Jomtien Beach and 300 meters from high-quality restaurants, bars and other nightlife attractions, Jomtien Palace villa is one of the most centrally located holiday homes. 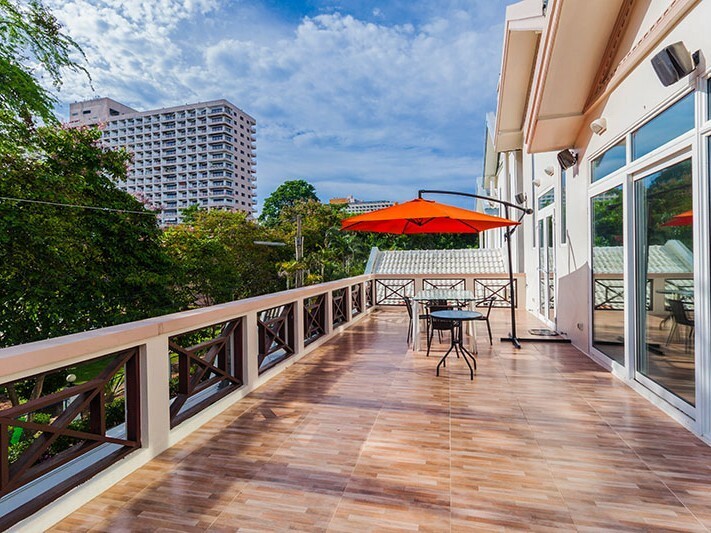 All the major shopping centers are close by, and Pattaya Beach and Walking Street are a short 5-minute drive away. 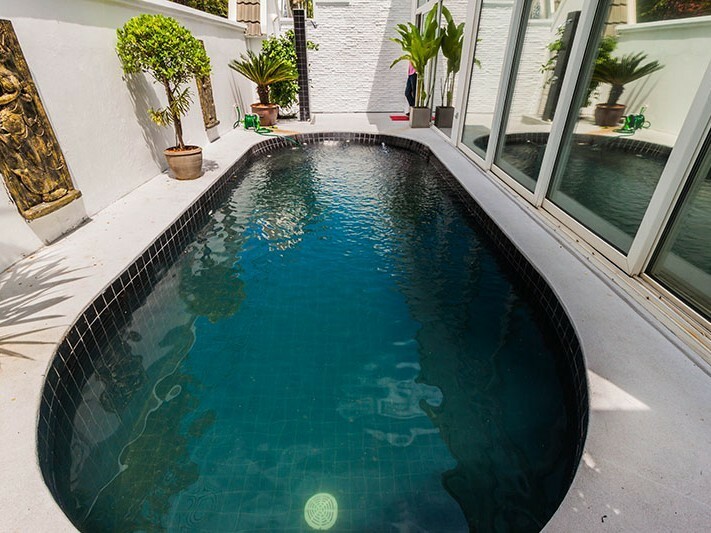 Everything will be perfectly convenient when you stay at this tranquil villa. 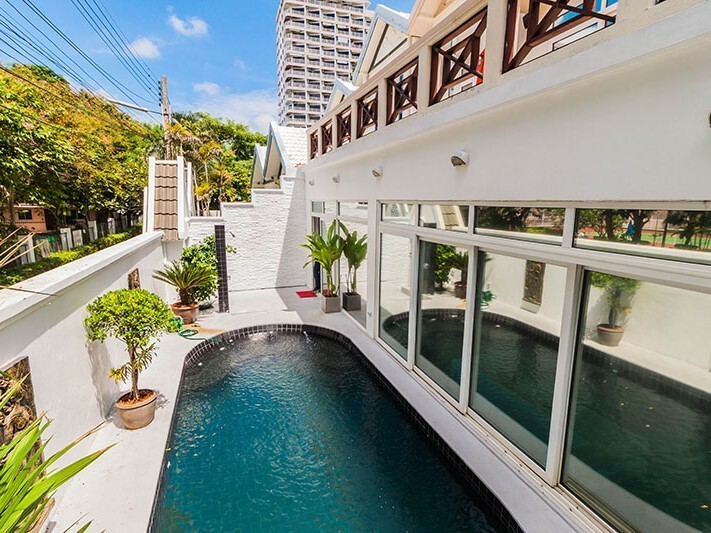 Jomtien is an excellent choice if you care for a destination that is geared towards families whilst retaining that party atmosphere Thailand holidays are famous for. 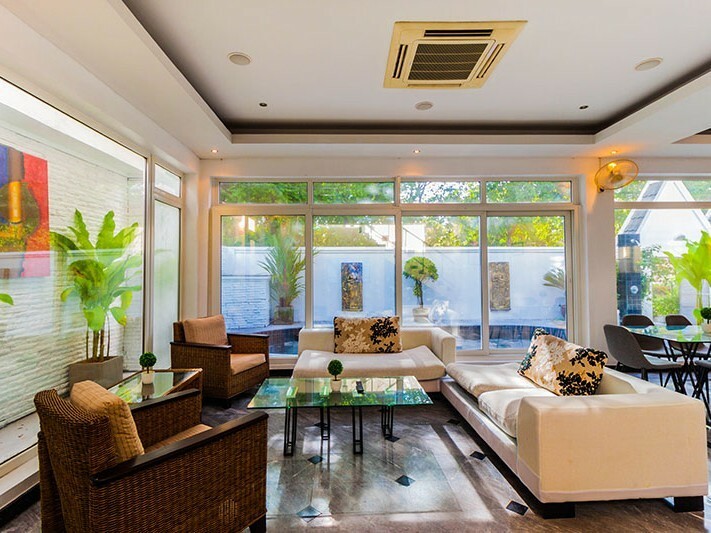 Our Palace Villa is the ideal Jomtien Beach villa, with the fluffy white sands just 500 meters away. 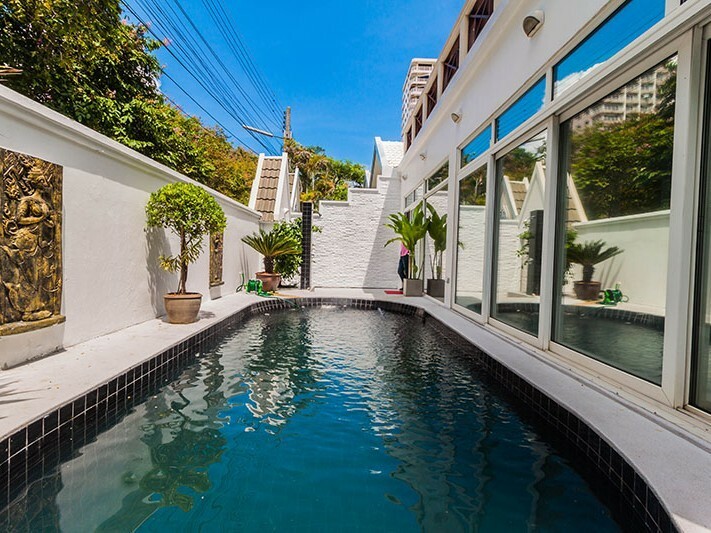 Since you don’t find too many beach rentals in Pattaya or Jomtien, this is the perfect opportunity to holiday in a villa that has it all.